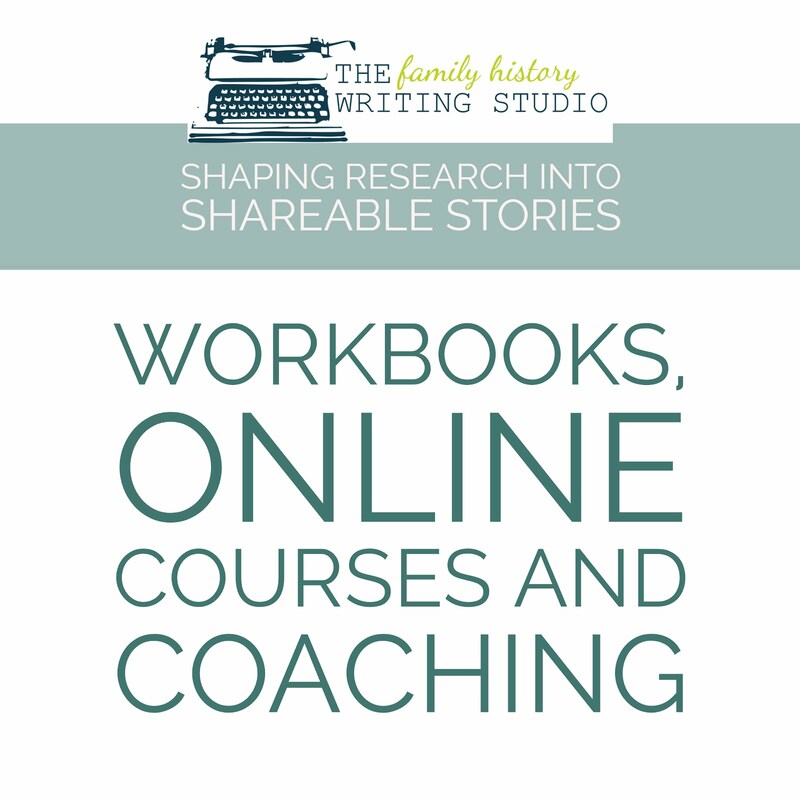 Last week I posted about getting your genealogy research organized so that you can get ready to start writing your family history book. By organizing your information, you should now have a better knowledge of what you have in your arsenal to create your book. The size of your family history book can vary. It may be a small booklet of a dozen photocopied pages put together in project folder to a large 200-page full colour coffee table style book. Only you can decide which challenge you are up for. However, here are a few things to consider when making the decision on the size and scope of your family history book. Below are 5 questions to ask yourself before you dive into your project. How many families and generations do you wish to cover? Do you wish to create an all inclusive book with all your surname lines, or is the amount of information you have to large, or does that seem to overwhelming. You can consider a book based on one individual or follow on surname line, or one set of grandparents. Look at how much research you have to fill your book. Do you want to include the living in your book or only past ancestors? 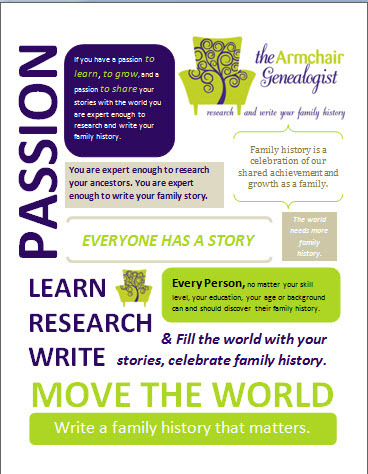 What is your vision for your family history book? Do you see your book as small and intimate, maybe a pedigree chart, some pictures and a few stories or are you envisioning a coffee table style book in full colour. 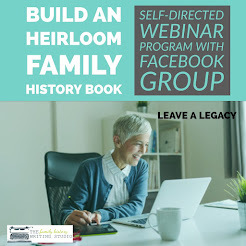 Perhaps your ideal family history book falls somewhere in between, maybe your thinking of a scrapbook or maybe a dozen photocopied pages in a three ring binder. Knowing what your final goal is helps in laying out the process to making it happen. Some of this may be reflected in your budget, but if budget if you can’t afford that big coffee style book you may need to consider scaling down your project, to get the look you want. Perhaps having all lines in one book is your goal then you may have to rethink the vision that matches the budget. Have you considered your audience before starting your book? Whom are you creating this book for? Perhaps this book is mean’t just for you, maybe a handful of family will want a copy, and maybe you have a large family and will be selling into the hundreds? What will be the age range of your audience? Will your book need to be pretty and engaging, are you trying to interest a younger audience or are you creating merely a book with just the facts as a record for future generations. Do wish to give your books to libraries, archives or genealogical societies or maybe you wish to sell it online. Keep your audience in mind when considering your book. 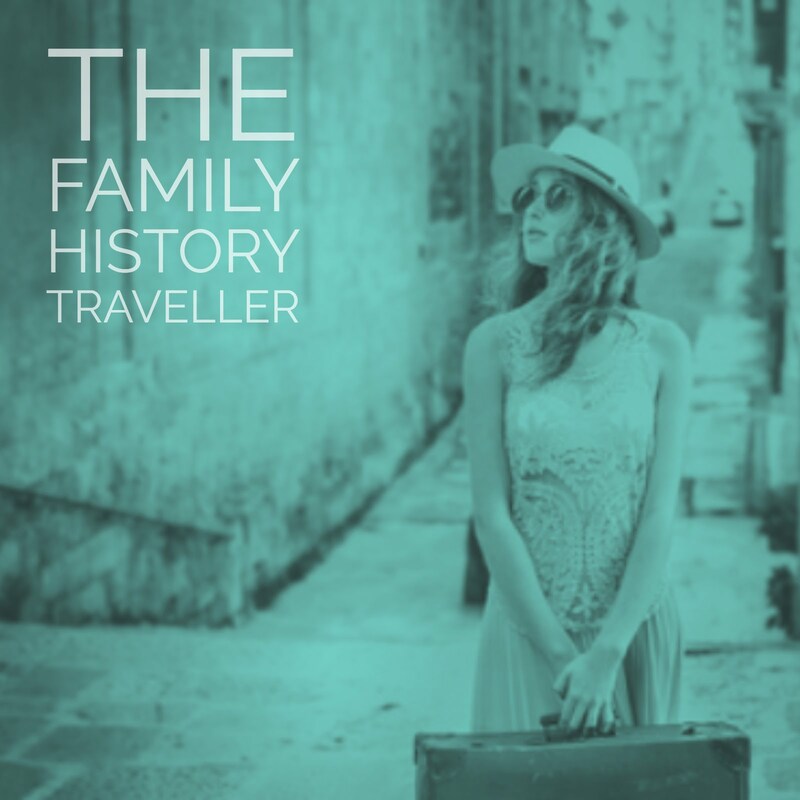 A very serious element to determine the size and scope of your book is how much you plan to spend to create your family history book and who will be paying for it. Are you willing to cover the entire costs yourself or willing you looking for donations from key family members to help? You can also consider selling your book to family members. You must poll your audience and see how much interest there is in purchasing a family history book. Never assume you are going to print 100 books at a cost of $20.00 or $30.00 unless you are willing to dig into your own pocket when not all the books sell. The budget and printing of a family history book is a large topic and I will cover in more detail in future posts. In the meantime, you have determined your audience now understand how much and how many books this might materialize in to. Have you considered your time and talent? Too many individuals have ideas of grandeur of creating a family history book that far exceeds the time they are willing to invest. If you work full-time, have a family your time is precious don’t take on more than you can handle. You will become frustrated by the lack of progress and more likely, your dreams of a family history book will far exceed time restraints. Also, consider your talent. By talents, I mean your creative talents in assembling a family history book. Certainly if you are considering this venture then you are bringing some talents to the table, whether you are a great researcher, or writer or perhaps graphic design is your strength. 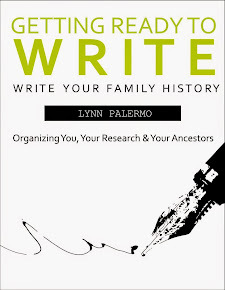 You do not need to be an expert in anyone of these fields to create a family history book; however, it will take some level of talent in all of these areas to create your book. Many software programs will help you with this. However, if you’re not familiar with them then there will be a learning curve. Don’t set your sites on something that exceeds your talents again unless you have the time to invest in learning along the way. Do consider creating a team of family members. Bringing several family members together and using each other’s talents will lighten the load and make for a much more enjoyable journey. 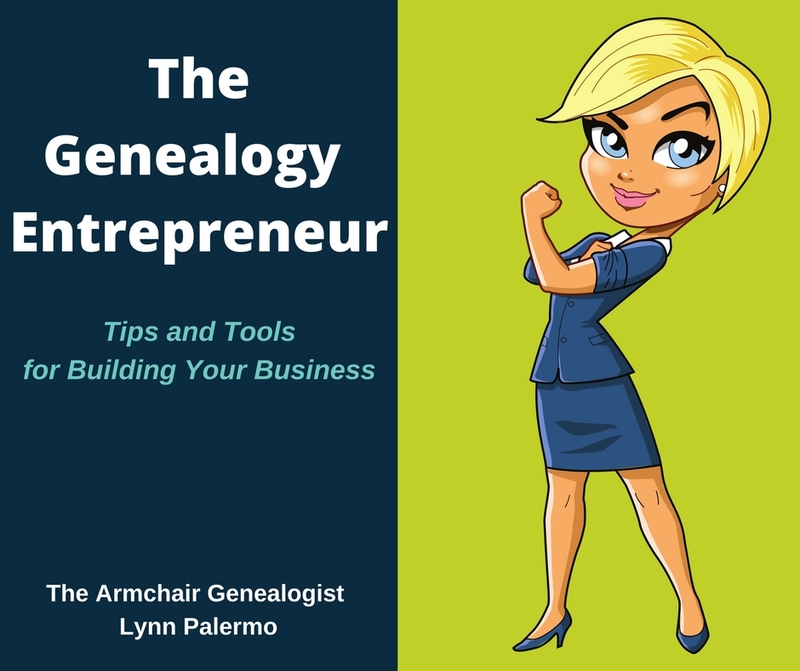 In the end keep it real, understand the time you have to dedicate to this project, the scope of your research, the size of your families, and the budget you have to work with before rushing into creating a your family history book. I assure you regardless of what path you choose, the journey will be rewarding.